This guest post is courtesy NextGen Personal Finance, which recently hosted a professional development seminar for personal finance teachers. It has been edited for clarity and brevity. The original post can be found here. What I really wanted to write was “146 Lessons.” But folks would likely shy away from an article that long. So I stuck with four. This July, a small group met at the inaugural NGPF Summer Institute. With only 12 Fellows, and NGPF staff, the intimate setting led to learning that could not be scripted. —Help kids understand the value of time NextGen founder Tim Ranzetta said something so powerful that I was reflecting on it for days. “Warren Buffett is worth $100 billion. But he is 87 years old. Right now, would you switch with him?” That thought is a perfect lesson prompt—not just about the value of time from a compound growth standpoint, but from an experiential standpoint. You can make and lose money all your life. But you can only lose time, as is explained in the article that inspired Tim’s comments. —Convince kids that an expensive car when young is a waste of money One session evolved into a fishbowl discussion, where some actively discuss a topic while others simply listen. We had been discussing a NextGen blog post on how a car purchase might hijack your retirement savings. It occurred to me the fishbowl technique might be the perfect format to address the emotions teens face when contemplating their first car. The kids on the outside of the fishbowl—those who merely listen—would be those students who have little interest in buying a car in the near future. The kids on the inside—those actively discussing—would be students passionate about either buying a car or not. With the right prompts, a follow-up debate between the two groups could point out both the real costs and the opportunity costs of owning a car. 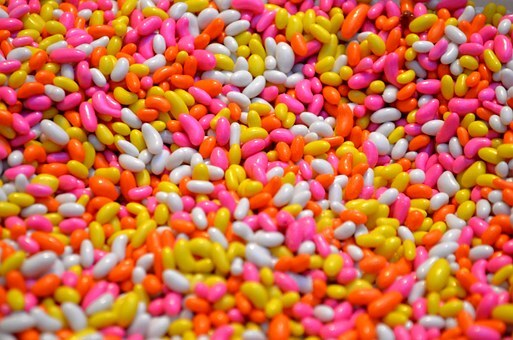 …to a 9thgrade class and asked each student to write down their estimate of the number of jelly beans. He collected those estimates and then asked each student to announce an estimate out loud. They could stick with their written estimate or change it based on what they were hearing from others. The average original estimate was 1,771. But upon hearing others’ estimates, the revised average estimate fell to 850. The actual number of jelly beans: 1,776. The kids were right the first time. They let what they were hearing sway them, rather than stick what they believed. He equated the estimates spoken out loud to “noise” that often leads people to make bad investment decisions. —Teach the value of a good question Following one session on investing, I got into the weeds with a few questions. The session leader, Tim Ranzetta, wasn’t sure of the answers but wrote the questions down and promised to find out. He has spent the past few years learning weekly from national experts while conducting podcast interviews. He receives feedback from thousands of teachers and is constantly reading and learning. He is an expert in personal finance. This is important context because it highlights that it’s impossible for any of us to always know the right answer in a field that is continuously changing. Guessing leads to expensive mistakes. I’m not sure if Tim’s inclination was an intentional modeling of something so important, but if I could only pass on one moment from the conference this would be it: It is best to respond with “I don’t know, but I’ll find out” when we don’t have the answer. Laura Matchett is a former school teacher now engaged in the nonprofit world. She views financial education as an important way to level the playing field of opportunity.